Distracted driving has become one of the greatest dangers to motorists on American highways. 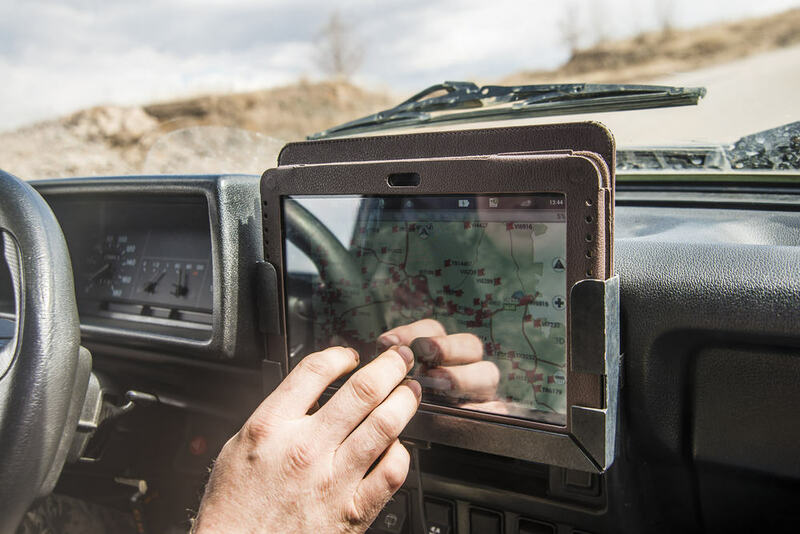 As handheld technology continues to develop and become more sophisticated at a breakneck pace, the average driver is progressively more tempted to avert their eyes from the road and play with their phones, radios, etc. As a professional truck driver or small trucking company owner, you’ve doubtlessly heard a great deal about the perils of distracted driving—but what is distracted driving, exactly, and how many accidents are caused by distracted driving? There are, in theory, an infinite number of things that can distract you from save driving, but those listed above are the most common causes of distracted driving accidents. But just how big an issue is distracted driving, exactly? In 2014, distracted driving caused 3,179 traffic deaths and 431,000 injuries, according to government figures. Mobile phones are now commonplace among the U.S. population, making distracted driving all the more common. Our society is constantly sending and receiving messages. In fact, Americans send nearly 2 trillion text messages per year—as smart phone sales continue to proliferate throughout the population, a larger and larger percentage of those text messages will be, unfortunately, sent by drivers. Deaths caused by distracted driving occur most often among drivers aged 15-19. As of 2014, 2.2% of drivers on the road at any time could be seen visibly playing with handheld devices or texting, and that percentage is gradually increasing. An AT&T study suggests that as many as 70% of drivers in the United States use their smartphones behind the wheel. 40% of drivers check social media while driving, 30% browse the internet and 10% even go so far as to video chat while driving. The average driver averts their eyes from the road for a whopping five seconds when they send text messages, per government figures. Texting while driving is said to be 6 times more likely to cause a car accident than drunk driving. 94% of American drivers support laws that forbid texting while driving, according to Edgar Snyder and Associates. The morbid list of distracted driving statistics goes on and on. What is the takeaway? Distracted driving is a deadly problem that is plaguing our highway. So what can you, as a truck driver/small trucking company owner, do to mitigate the risk of being involved in a distracted driving accident? Always keep your cell phone in the glove box of your big rig. Make sure that your GPS is calibrated and correct before beginning your journey. Pull over when it’s time to eat. Eating while driving causes more wrecks than you may think—and you could use the rest, anyhow. Take the license plate number and call the highway patrol. While they probably won’t get caught, if they are constantly on their phones or engaging in distracting activities, a highway patrolman might just catch them, and that, in turn, might just save a life. Establish a firm rule for your fleet, and make your other drivers pledge to avoid distracted driving. Taking steps to eliminate distracted company is good for your safety, society and your small trucking company. Make sure that you do not take unnecessary risks when you are out on the road. Do you also want to avoid unnecessary risks in your trucking company’s finances? If so, contact the factoring experts at EZ Freight. We will make sure that you find the funds necessary to guarantee the survival of your growing fleet.